Hyderabad, March 19 (Maxim News): TPCC working president A. Revanth Reddy here on Tuesday dared his TRS counterpart K Tarakarama Rao to contest against him in Malkajgiri Lok Sabha constituency. He alleged that the ruling party was trying to field realtors and brokers against him in the constituency in the upcoming elections. Addressing party workers in LB Nagar, Revanth Reddy criticized party MLA P Sabita Indra Reddy for deciding to join the ruling party despite the Congress had done a lot for her family. He also said Chief Minister K Chandrashekhar Rao was trying to decimate the entire Opposition political parties in the State. 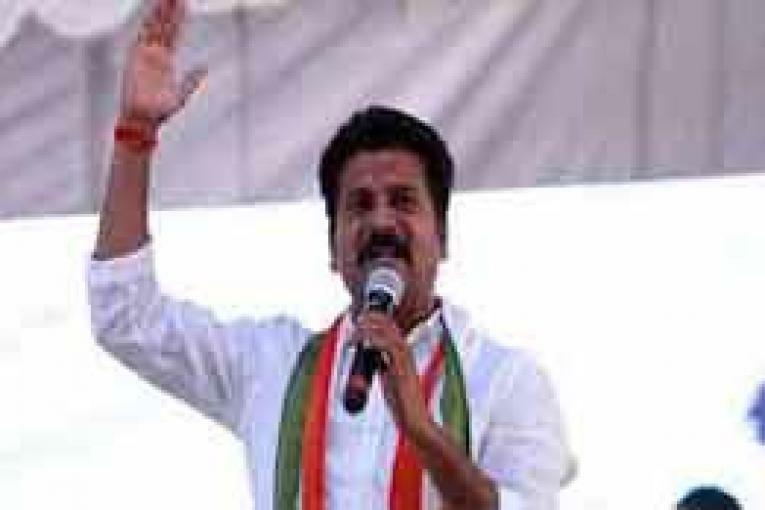 Reminding the ruling party that five Pandavas in the epic Mahabharatha had massacred 100 wicked Kourvas in Kurukshetra war and established rule of law, Revanth Reddy said the Congress party would triumph like Pandavas in the upcoming elections. He exuded confidence that he would win the seat with by over two lakh vote majority. He also slammed another Congress MLA D. Sudheer Reddy for deserting the party after enjoying benefits. He alleged that the State government was foisting cases against him as he was talking about public problems. He exhorted the party workers to work hard and ensure his handsome victory in Malkajgiri.